Heat gas or charcoal grill. In small bowl, mix relish ingredients; set aside. 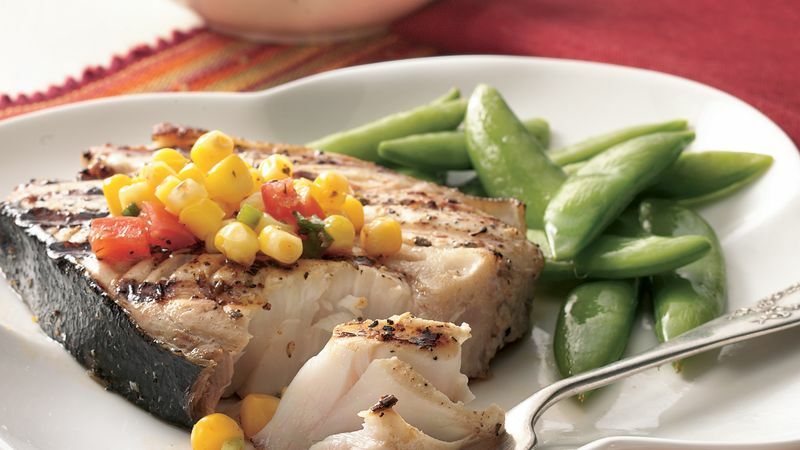 Brush halibut with Worcestershire sauce; sprinkle with pepper and oregano. Place fish on grill over medium heat. Cover grill; cook 10 to 15 minutes, turning once or twice, until fish flakes easily with fork. Serve fish with relish. Not a fan of oregano? Experiment with dried dill weed instead. Keep a spray bottle filled with water near the grill. Use it to douse any flare-ups that might occur.